If winter is for staying inside, this 6762 sq. ft. move-in-ready home gives you the room(s) to enjoy it. 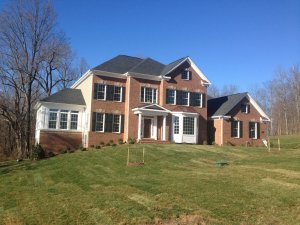 WATERFORD,VA — You can see this home just north of Leesburg, by Waterford, VA in our new Waterford Creek community. But before you even go inside – and we know it’s cold – you absolutely have to walk the property (lot #27). it’s just a beautifully grand 3.8 acres bordered by woodlands and a stream. When you do step into the two-story entry foyer of this 4-bedroom, 5-1/2 bath Oakton model, with side-entry, 3-car garage, the interior just opens up with magnificent spaces for entertaining, relaxing, creating, and dining both casually and formally. Upgrades include: a side conservatory and rear morning room, an extended family room with floor-to-ceiling, stone-faced fireplace and a fully finished walkout lower level with rec room, media room and full bath. Nobody will be tripping over anybody else in this extraordinary home. And since we’re just putting on the finishing touches and we know its winter, we’ve added some pretty hot incentives to get you moving, now. You won’t find a home with more outside and more inside, anywhere around. And our guess is you won’t find this home around much longer, either. Stop by soon. 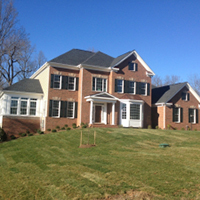 Call 703-926-7241 for an appointment or for more info click onto carrhomes.com and our immediate delivery homes.